Exclusively Ours! Lead, Nickel & Cadmium Free!! 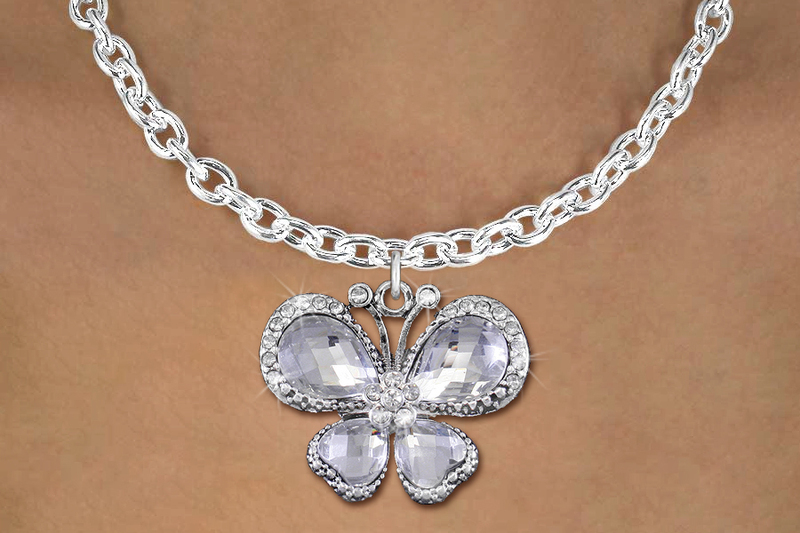 Beautiful Silver Tone Butterfly Charm Has Large Faceted Clear Crystals Surrounded By Faceted Clear Crystals. Comes On A Necklace Style Of Your Choice: Ball Chain, Regular Chain, Black Suede Leatherette, or Toggle Chain. Show Your Patriotism For Our Country!